Are you considering an EMR and/or hardware purchase? Interested in managing your cash flow over time rather than writing a single check that can quickly impact your bottom line? If so, Henry Schein Financial Services can assist you with software and equipment financing that will enhance revenue. We have built a great reputation by assisting healthcare practitioners in meeting their financing needs for everything from equipment to computer hardware and software to supplies. 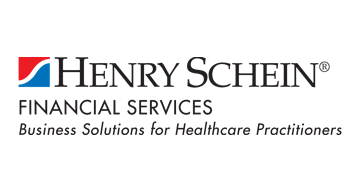 What else can Henry Schein Financial Services do for you?